Your church and temple experience won’t be the same without these essential accessories! 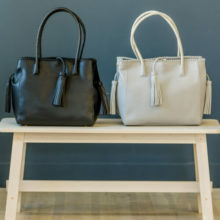 White Elegance thoughtfully designed these totes with a roomy interior to accommodate your dress or outfit plus individual pockets for slippers and packet. 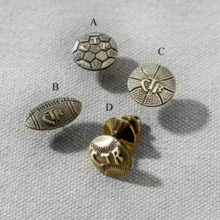 An easily accessible pocket with a zipper holds your keys and recommend. Need a little more room? Just unsnap both outside, side snaps. Light-weight and durable. Black tote has brown and black plaid lining. A perfect tote for all your important temple trips, church, craft or travel. NO RETURNS OR EXCHANGES. White Elegance thoughtfully designed these totes with a roomy interior to accommodate your dress or outfit plus individual pockets for slippers and packet. An easily accessible pocket with a zipper holds your keys and recommend. Need a little more room? Just unzip both outside, side zippers. 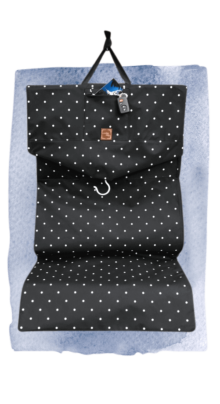 Light-weight and durable with the pink polka dot lining. 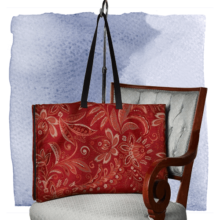 A perfect tote for all your important temple trips, church, craft or travel. NO RETURNS OR EXCHANGES. White Elegance iconic style of full-length temple bag keeps all your items in a grab and go bag. 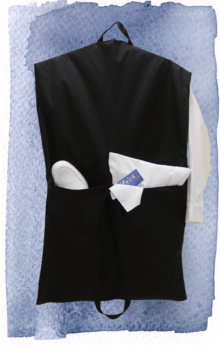 Hanging in your closet, your dress is kept wrinkle and dust free while the pockets for slippers, socks, packet and slip keep everything in one place. Outside zipper pocket for keys and recommend. No need to pack and unpack each visit to the temple. 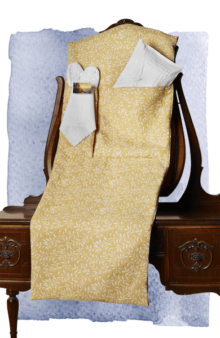 Folds into fourths for easy, over the shoulder carrying and can be rolled up and put in a locker while attending a session. The strong cordura fabric is fully lined inside and made to last. 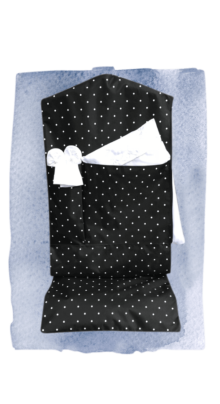 Available in black and white polka dot, red or navy with tiny white polka dot. 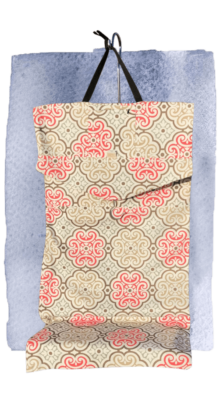 Full length cotton temple bags in assorted prints have pockets for packet, shoes and recommend. Long side zipper. 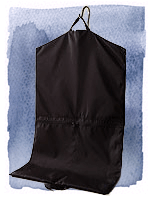 Folds into fourths with straps for easy carrying. It’s light, airy and oh so comfortable. Memory foam keeps your feet well supported, the leather strap and velcro allows the perfect fit just for your individual feet. Can’t go wrong with this shoe. 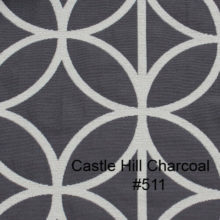 Sizes: Sizes:5h, 6 NO RETURNS OR EXCHANGES. When your feet matter, you need the most comfortable shoe with the best support. White Elegance asked Propet, one of the leading shoe manufacturers of quality, therapeutic footwear, design a shoe just for our customers. 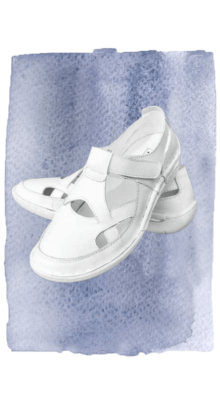 Soft leather upper and leather insole with sturdy arch support, an adjustable strap and the cutest shoe available in all white. Fit Hint: Shoe runs slightly wide in toes. You won’t believe how light-weight and comfortable this shoe is. Take care of your feet. After all, a good, quality shoe makes a difference in your ankles, knees and back. 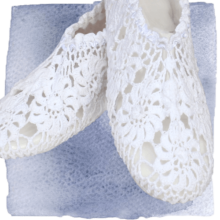 Hand crocheted slippers are one of White Elegance’s most popular unique items. These are carefully handcrafted from the finest cotton then attached to a cushioned corduroy sole to give them a beautiful shape and prevent slipping. A wonderful gift and perfect with any of White Elegance lace Temple clothing.